We offer seamless waterproofing solutions suitable for both Commercial and Domestic use. We offer seamless waterproofing solutions suitable for both Commercial and Domestic use, for New Developments and refurbished properties. Alfa waterproofing and painting contractors specialises in Interior and Exterior wall coatings. Alfa waterproofing and painting contractors specialises in Interior and Exterior wall coatings. 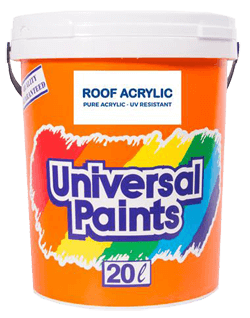 We provide paint coatings for roofs, houses factories and we offer a professional service. We believe in our service and products, Thats why we give your customers a 10 Year Guarantee! At Alfa Waterproofing and Paint we believe in using only the best products. Alfa Waterproofing and Painting Contractors are situated in the East of Pretoria, however our services extend to the Greater Johannesburg Metropolitan and Gauteng Areas. We specialise in all kinds of waterproofing for roofs, leaking roofs and ceilings, sagging and damaged roofs. Further we also do waterproofing of factory roofs including IBR roofs, Corrugated Steel, Box Gutters and Clip lock roofs to name a few. We offer seamless waterproofing solutions suitable for both Commercial and Domestic use, for New developments and refurbished properties. We provide waterproofing and dam proofing for roofs and we can waterproof any substrate. Our specialist waterproofing services include and are not limited to: Waterproofing, roof repairs (tile and concrete), leaking balcony waterproofing and repairs, dam waterproofing, and shower waterproofing. Only the best quality waterproofing is done by Alfa Waterproofing and Paint Contractors, we utilise superior quality imported products and our teams are professional and very aptly skilled. No comebacks. No shortcuts! We offer seamless waterproofing solutions suitable for both Commercial and Domestic use, for New Developments and refurbished properties. We provide waterproofing and dampproofing for roofs and can waterproof any substrate. We have done waterproofing on 1000’s of roofs all over Gauteng, including Johannesburg and surrounds. Alfa waterproofing and painting contractors specialises in Interior and Exterior wall coatings, whether you have a need to protect, preserve or decorate (add colour) or cover a surface with pigmented coating for prevention such as prevention corrosion.We provide paint coatings for roofs, houses factories and we offer a professional service. Identifying the root causes of damp and then correctly identifying the treatment required is not easy and for this reason Safeguard offers to inspect properties and to make either verbal recommendations for rectification of the problems or a full and detailed report, including photographs, and a comprehensive specification for the treatment. Alfa Waterproofing and Paint Contractors specialises in all roof repairs both flat and pitched roofs, Commercial and Residential repairs. Our roof repair services include: Leaking roofs, sagging roofs, tiled roof repairs-roof ridging, valleys, and sidewall flashings,as well as cornices including moulded cornices, flashing. I have been using Alfa Waterproofing and Paint for the last 5 years now, and they never dissapoint us! If you want the job to be done right, this is the guys you need to use. They are a bunch of super efficient and professional guys. Teams are well trained, what more can I say… Pure Excellence. Keep up the good work. I do not usually give testimonials – either solicited or unsolicited – but need to compliment your company on the team currently finishing off the damp-proofing of Amelia Court, in Edenvale, especially your Site manager and George, your foreman. The team worked in a very efficient manner, cleaned up after each of the processes, leaving no mess. They were very professional. Michael and his team has been an absolute pleasure to work with. I’ve had many issues with the waterproofing on my roof. Since I’ve had him and his team at my house there has been zero issues. Michael’s team is very cordial and polite and leave the site spotless when done. When I have issues with any type of roof leakage, they are the first people I call. Thanks Michael and team! Alfa Waterproofing and Painting Contractors updated their cover photo.